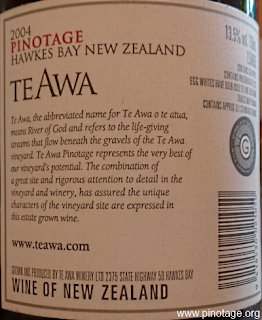 My Wine of the Month for June 2016 is Te Awa Pinotage 2004 from the premium Gimblett Gravels of Hawkes Bay, on New Zealand’s North Island. This was the last of the Te Awa’s I carried home from New Zealand and it is from a vineyard that is no more. 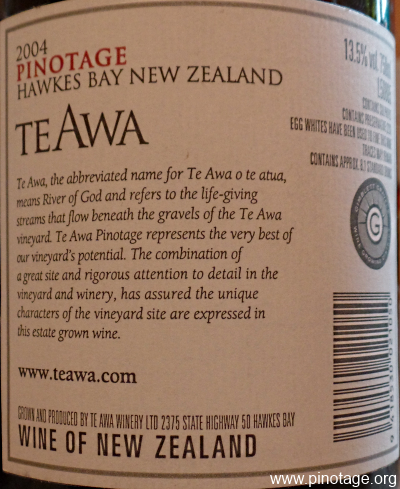 As I reported in December 2014, after Te Awa changed ownership, their block of Pinotage was removed. This wine I perhaps kept a little too long, After twelve years, it had gained that patina of age, with muted fruit streamlined sweetness and a core of acidity. A delicious food wine.